Air Pollution – Mainstream Green, Inc.
Home Archive by category "Air Pollution"
Warm Up Your Car, Not the Planet. See how: Watch this video! 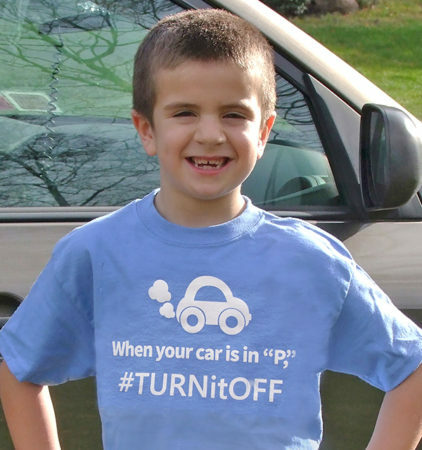 Love a kid & love your planet, at the same time, with #TURNitOFF anti-idling t-shirt! Americans waste 3.8 million gallons of fuel EVERY DAY letting their cars run more than a minute or two while parked. 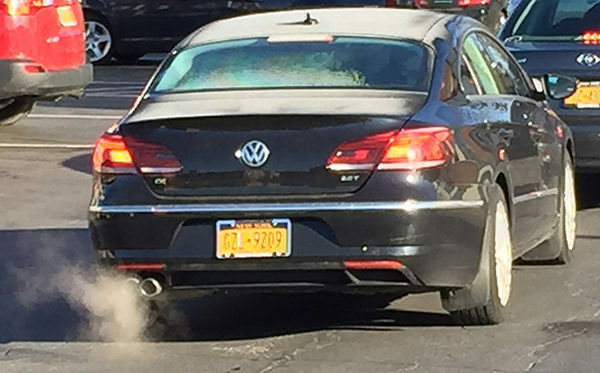 “Idling” is bad for our health because it causes air pollution. It’s bad for the planet because these unnecessary greenhouse gas emissions heat up earth’s atmosphere. 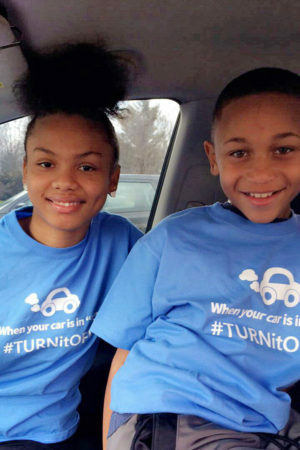 Purchase one of these $15 t- shirts and spread the message about idling! 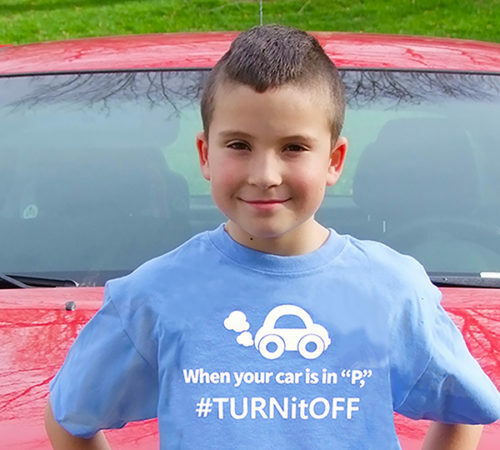 And remember, when YOUR car is in “P,” #TURNitOFF ! Available in Children’s Small, Medium, Large and XL, 100% cotton and Made In America! Proceeds go to Mainstream Green, Inc., a 501C-3 non-profit. Did you know: Americans waste 3.8 million gallons of fuel every day in America by running engines of cars that are not moving. Burning 1 gallon of gasoline in a car engine produces 18.07 lbs of CO2. Carbon traps heat in earth’s atmosphere. If we avoid 1% of gallons used idling, we’d prevent release of 390 tons of carbon daily, with no drastic change to lifestyle. Give a kid you love a t-shirt, cleaner air, and a planet to keep living on! Americans waste 3.8 million gallons of fuel EVERY DAY letting their cars run while parked. It's called idling, and it's bad for the planet because it causes air pollution and greenhouse gas emissions. Purchase one of these t- shirts and spread the message about idling! When your car is in P, #TURNitOFF! Available in Children's Small, Medium, Large and XL, 100% cotton and Made In America! Proceeds go to Mainstream Green, Inc., a 501C-3 non-profit.